About — Fort Pelican || We message. 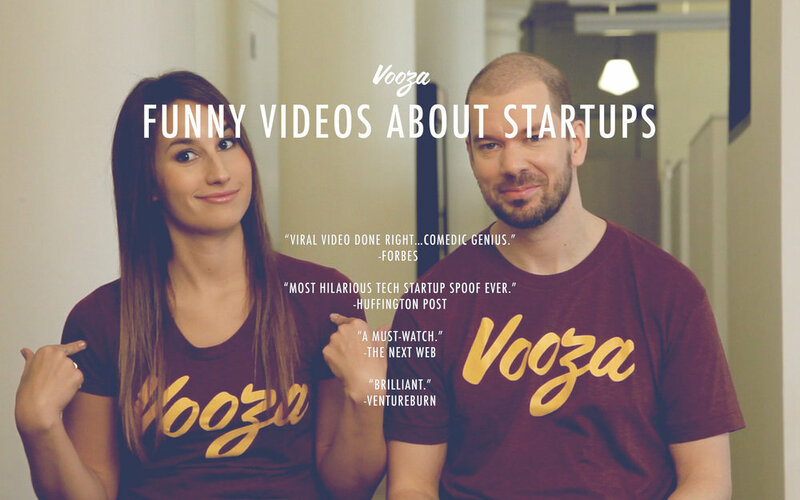 One of the shows we create is Vooza, a video comic strip about the startup world that has received millions of views and press from publications like TechCrunch, Wired, NY Times, Vice, Inc, Mashable, and more. Hey, this is Matt Ruby (email) and I'm the founder of Fort Pelican, a New York City-based company that creates funny videos, commercials, and branded content for tech companies, publications, and anyone else who gets it. Fort Pelican is 1/3 production company, 1/3 ad agency, and 1/3 comedy volcano. We bring together the best talent from the NYC comedy scene (our writers and performers have appeared on Comedy Central, The Late Show with Stephen Colbert, Letterman, Jimmy Kimmel Live, etc.) and a top-notch crew to create smart and hilarious video content. We're also the creators of Vooza, a video comic strip about the startup world that's been viewed millions of times. Where can I see videos you've made for companies? Here's a video we made for Turkish Airlines that got over 1 million views and a behind the scenes look at how we did it. And here's a case study describing another 1 million+ views video we created for AppDynamics. More client videos here. Because you don't want to be boring. We make fun videos that people want to watch/share that get your message across. Plus, we understand comedy and business – especially the tech/startup world – better than other video folks. And you know we can deliver the goods; We’ve made hundreds of videos that have gotten millions of views and generated tons of buzz. We can handle the creative aspects (brainstorm, treatment, scripting), the production (casting, crew, locations), post-production (editing, graphics), and distribution (promoted views, partnerships, social media). We’re obsessed with communication and make sure you’re in the loop every step of the way so there are no surprises. We often work with tech companies, but we’re happy to work with anyone who digs what we do. Previous clients include Turkish Airlines, Mailchimp, Disqus, New Relic, Ustream, AppDynamics, VMWare, and many more. Use the contact form below or shoot me an email.